Bandar Damai Perdana, Kuala Lumpur. Business hours: 7am to 3pm (Monday to Sunday). 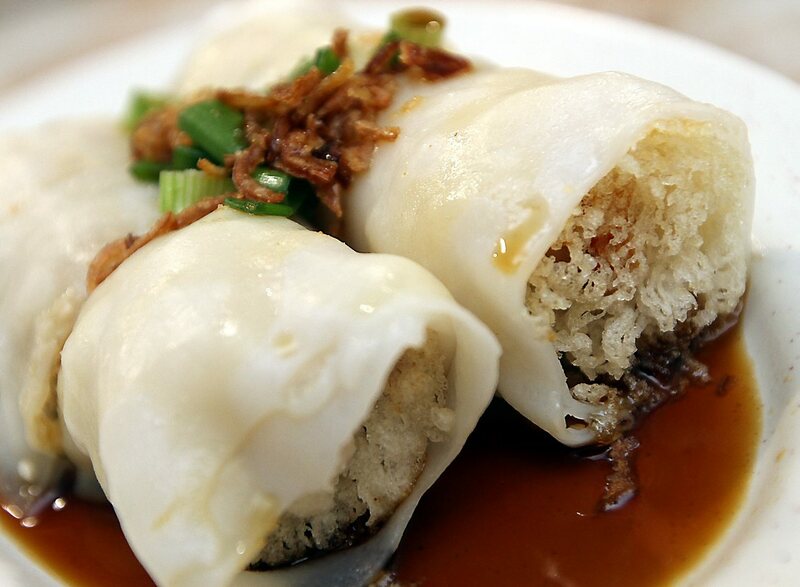 Restaurant lives up to its name with its hand-made steamed and fried dim sum. TWO brothers with a love for dim sum joined forces to establish a business selling a medley of bite-sized treats at Tasty Dim Sum. Head chef Lee Keng Loon has almost 20 years of experience making halal, non-halal and vegetarian dim sum, while partner and brother Lee Keng Chow handles the restaurant’s business aspects. Serving up traditional steamed and fried dumplings, their mini delights are made daily to offer diners fresh and delicately shaped dim sum. 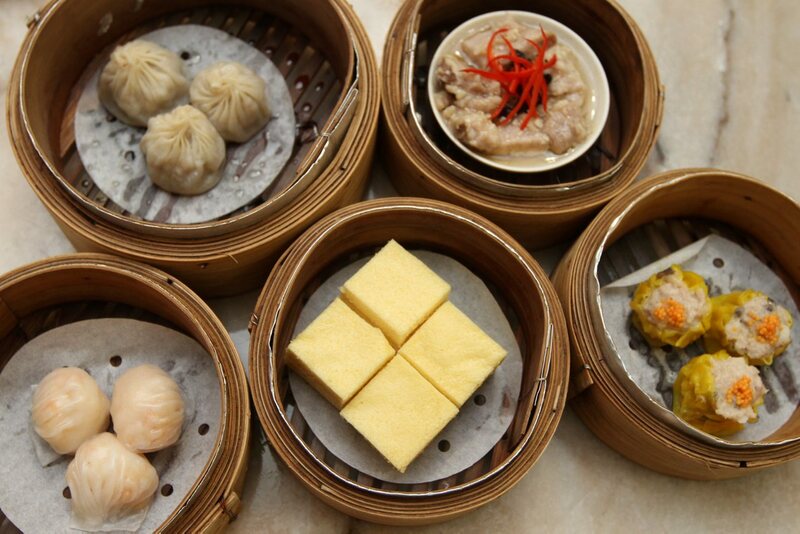 Enjoy a wide range of delicious dim sum! Their steamed dumplings are formed lovingly with the thinnest layer of skin lightly covering a variety of sumptuous filling. “All the items are hand made every day, and cooked to order unlike the instant dim sum that have the tendency to become overcooked, making it a bit tougher. “We wanted to franchise the business but our aim has always been the quality and freshness of taste which we want to have control of. “Our dream though has always been to open a halal dim sum restaurant, as well so we will be reviewing that plan again sometime in the future,” said Chow. An all-around favourite, the iconic Shanghai Dumpling (RM4.80) is moulded with the subtle flavours of soup that is first made into a gelatinous form and rolled with pork. This little morsel of goodness is steamed upon order and soup oozes out at the first bite offering a burst of flavours on the palate. Other popular dishes are of course their popping Fish Roe Siew Mai (RM4) and Shrimp Dumpling better known as har gao (RM4.20) that is packed full with large fresh prawn stuffing. The Nam Yu Pork Rib (RM4.20) is pungent yet tempting with fermented bean paste or tauchu among the ingredients, and offers a contrast to the Steamed Pork Rib in Black Bean Sauce (RM4.20) which is savoury and light. Another delicacy on the menu, is a family recipe from their mother that was passed down through their grandmother, who was of Hakka origin. 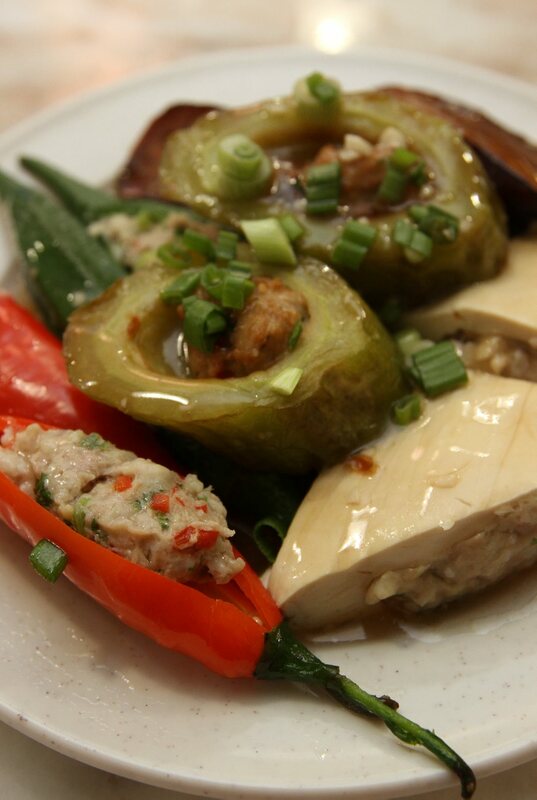 Unlike the usual fish-based yong tow foo , their Hakka-style Yong Taufu (RM1.20 each) is stuffed with a perfect combination of pork and fish that gives the dish a different dimension. Moving on to the fried dim sum and dessert, Chow highly recommends the Crunchy Rice Roll (RM3.80) (top pic), a simple but enticing vegetarian option. The roll is made with chee cheong fun skin wrapped over turnip, carrot and yam strips with Vietnamese net-style rice paper added for its crisp texture, then drenched in soy sauce. Durian lovers will enjoy the Deep Fried Durian roll (RM4.20). The creamy odorous fruit of the D24 variety is rolled in crispy Vietnamese rice paper and makes a crunchy dessert. The Peppermint Egg Custard Bun known as Lau Sar Pau (RM4) is highly recommended with the warmth of its sweet contents that spill outthe moment you pop it into the mouth. Mouth-watering Peppermint Egg Custard Bun. 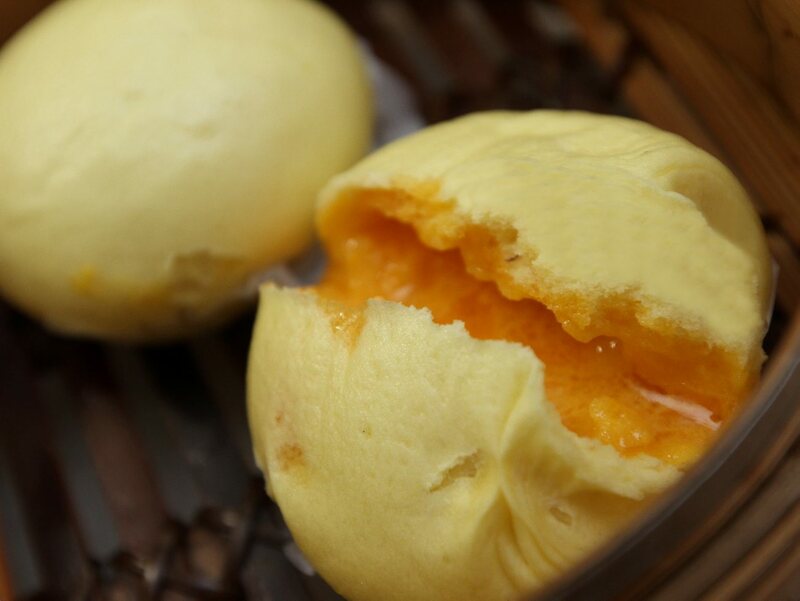 The first hit you get from the creamy amber-coloured custard is its slightly grainy texture from the salted duck egg that is cushioned by the fluffy melt-in-the-mouth bun that is a perfect end to the meal. This is the writer’s personal observation and not an endorsement by StarMetro.